I respectfully recommend that a Joint Resolution, substantially as follows, be adopted so soon as practicable, by your honorable bodies. The adoption of such resolution is sought with a view to embody it, with other propositions, in a proclamation looking to peace and re-union. Now therefore I, Abraham Lincoln, President of the United States, do proclaim, declare, and make known, that on the conditions therein stated, the power conferred on the Executive in and by said Joint Resolution, will be fully exercised; that war will cease, and armies be reduced to a basis of peace; that all political offences will be pardoned; that all property, except slaves, liable to confiscation or forfeiture, will be released therefrom, except in cases of intervening interests of third parties; and that liberality will be recommended to congress upon all points not lying within executive control. In this case the cabinet was wiser than the President. With victory in sight, the Congress manifestly was not going to pay for the ending of slavery when it was going to end with military victory in the coming campaign season. Additionally, even at this late date, there was not the slightest indication that the Confederates would lay down their arms in exchange for compensated emancipation. 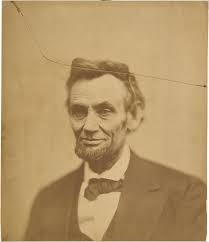 The War would settle the problems of slavery and the preservation of the Union, the same hard reality that had confronted Lincoln since his first day in office. I’m sure he was considering the approaching ratification fight over the 13th amendment. Quite right. Lincoln always would have preferred compensated emancipation to a continuation of the War. However, although the War started over slavery, most Confederates were fighting for independence and not for slavery, and that Lincoln could not and would not concede. Most confederate soldiers were fighting for some semblance of autonomy- the ruling class was all about continuing slavery. Now That is a Coke Commercial!